Tinder. Taxes. And No New Resolutions. "TINDER. TAXES. AND NO NEW RESOLUTIONS." 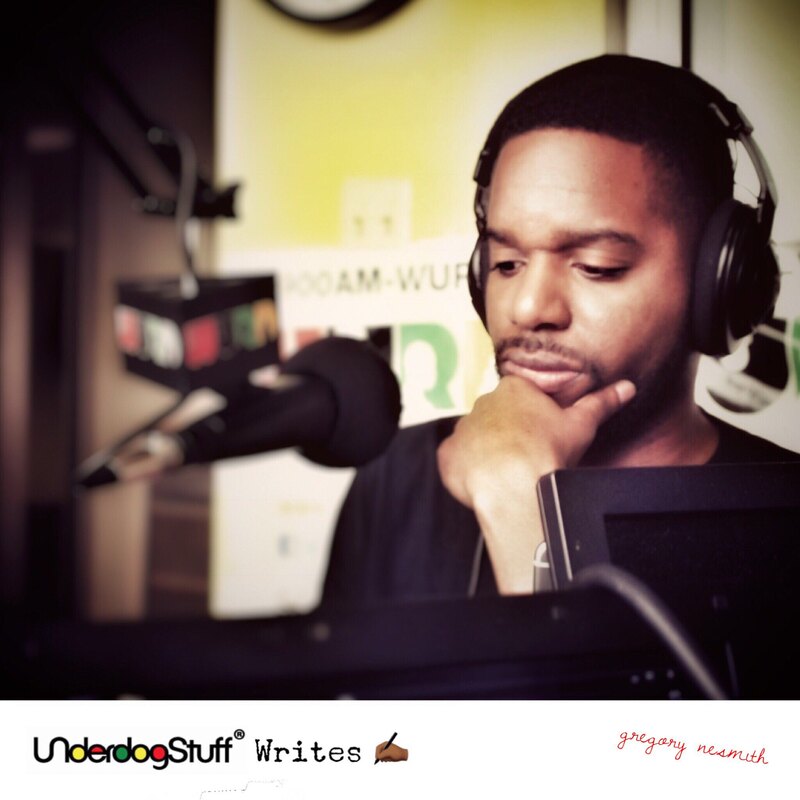 Hello everyone and welcome back to the “UNderdogStuff® Writes” article series! I hope you are already rediscovering your special stuff in 2018. I have several things on my mind to talk about this time of year, but my New Year's Resolutions for 2018 will not be one of them. We’ll be talking about them at some point, probably the middle of February. That’s because by around that time 80% of us will have already failed at our New Year's Resolutions. That’s right, by the second week of February, according to U.S. News, almost 80% of New Year’s Resolutions fail. Around 11% to 12% more will fail by the end of the year, making only 8% to 9% of New Year's resolutions successful. If you want to make new resolutions right now, I ain’t mad at you, but personally my resolutions list doesn’t have room for new stuff yet. And I bet yours doesn’t either. I’m still not complete about things from other years! I still have things from 1985, 2016, 1997, 2006, and 2017 that I still have not got done. I want to figure out what things I need to complete and what things I want to completely stop doing. And we haven’t even gotten to the resolutions I want to carry into 2018 and keep doing. You sure you still want to start adding new things to your resolutions list? A few weeks ago I wrote about starting whenever but keep going, right now we’re just going to talk about the keep going part. What are you going to keep doing in 2018 that you were doing in 2017? Let’s say Facebook's 2017 resolution was to be profitable, and 2018 came and they just dropped that resolution and moved on to a different one. Facebook would still not be making money. It took Facebook 5 years after launch to make a profit, that’s 5 years of sticking with the same resolution until they were successful. Amazon took 10 years to become the #1 online retailer, Netflix took 13 years to knock out Blockbuster, and Kevin Durant (my favorite NBA player) took over 9 years to become a NBA champion. What would of happened if any of these examples would of just dropped their resolution after one calendar year and moved on to another one? They would not be where they are today. What are you going to keep going with in 2018 before you start adding to your resolution list? The truth is you have got to be clear on what stays on your list, and don’t let the calendar get you all messed up. Remember that just because it’s a new year doesn’t mean everything has to be new. Stuff from 2017 should be on your list for 2018. “Sometimes it takes years for a person to become an overnight success” -Prince. Somethings I’m going to carryover into 2018 are working on “The Gregory Nesmith Show”, “UNderdogStuff® Writes” (of course), and my morning meditation. In 2017 I decided to make meditating part of my morning ritual. For years and years I have had the resolution to meditate in silence for 30 minutes every single day. Which was good, but definitely too lofty of a goal. Finally in 2017 I decided to make this resolution a bite sized reality. I started with Googling a one minute meditation and I started meditating for one minute a day. Eventually one minute grew into two minutes and I got into the habit of it. It was doable because I didn’t bite off more than I could chew. Something I have to do before I can start adding to my New Year’s Resolutions is figure out some things I’m incomplete about and make them complete. I may want to put “manage money better” as a new resolution for 2018 but I’m not to a point where I can do that yet. I still have incomplete things from previous years. I haven’t done my 2016 taxes, let a lone started to think about my 2017 taxes. I also still have a property that I invested into in 2006 that is costing me more money than it is worth. All these things are incomplete but yet here I am about to add “be better with money” to my list. What are you incomplete about, especially that's related to the resolution you are about to jot down? The next thing I want to do before I can start working on my 2018 resolutions list is figure out what must stop. Plenty of times I’ve put things on my new resolutions list while there are still other things in the way. I have a vision board and one of the things on my vision board is to be in a relationship, but here I am on Tinder all the time. Over 10 million plus people use tinder daily. Tinder can be addicting, the thought of my ideal partner being one swipe away used to keep me swiping for hours. If I am serious about finding a relationship I get to STOP using Tinder as a distraction. Tinder app deleted. Also, this year I want to continue my commitment of consuming less and creating more. Even with that existing resolution in mind I would still constantly be sitting on the couch watching lots of cable TV. That’s why I decided to finally cut the cord, the cable cord that is. I’ve joined 22 million of you and canceled my cable too! Now I can STOP sitting around watching TV and start doing more of what I want to do. Like writing these articles! You have got to figure out what you are going to stop doing in 2018 to make time for what you are going to keep doing and ultimately what you are going to add to your list. Figure out what you are going to bring into 2018 and what you are going to leave behind. Remember the journey of an UNderdog isn’t neatly tied into calendar years. Once you figure out what you are going to be keeping, completing and stopping you will be ready to get to your New Year’s Resolutions. Let’s make this the year of the UNderdog being on top! And as always I’m going to leave you all with my favorite quote “Underdogs, can’t nobody do it like you do it. Nobody.” -G.N.